This is it Amigos! The moment you've all been waiting for, The Rodriguez Revisited Finale For Now Sequels Double Feature. This week my brother (Gavin) and I (Noah) take on 2 Sequels, 2013's Machete Kills & 2014's Sin City: A Dame To Kill For as we bring Rodriguez Revisited to a close...That is until we return This December w/ Episode 13 - Alita: Battle Angel, Stay Tuned! We've had an absolute blast recording this series and for those of you who've enjoyed it along the way with us we send our sincerest Thank You! We Hope you'll stay tuned Next Week when Gav & I will return to discuss our Top 10 Most Anticipated Films for the rest of 2018. 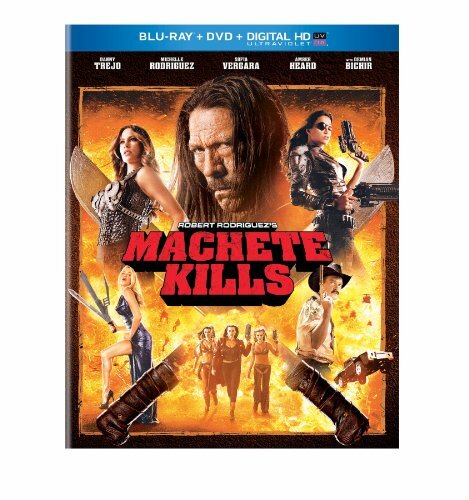 Until then, Have a Marvelous MexiCAN Machete Monday Everyone! Adios!! !